Chlorodifluoromethane (HCFC-22), a colorless gas at room temperature, is a colorless, non - toxic, non-flammable and transparent liquid under the pressure created by itself. It has excellent thermal and chemical stabilities and no corrosivity to metals. Its main applications include refrigerant(-80℃grade), raw material for PTFE production and intermediate for Halon 1211 production. R22 has been the dominant refrigerant in residential and commercial air conditioning. It is being Phased out due to its high ODP. Looking for ideal Household Air Conditioning Refrigerant Manufacturer & supplier ? We have a wide selection at great prices to help you get creative. 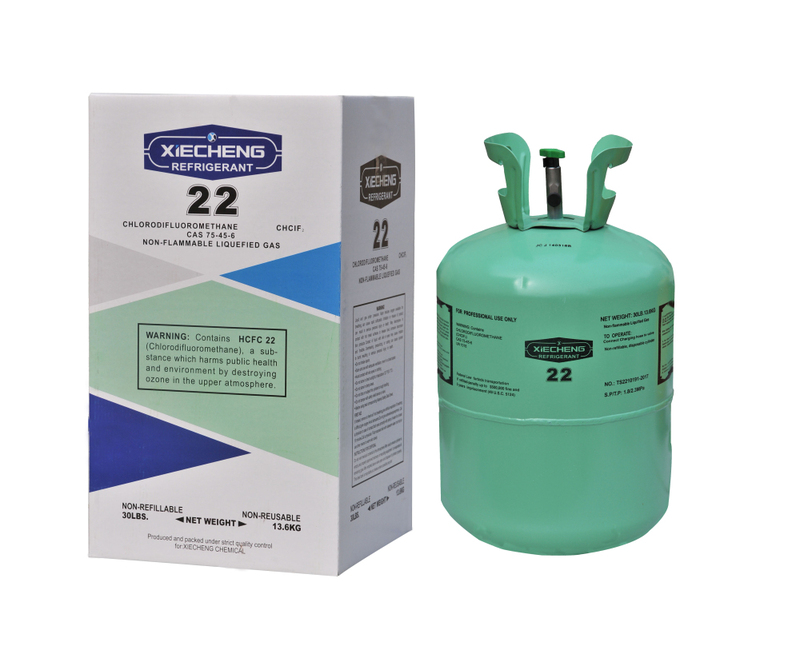 All the Air Conditioning Refrigerant R22 are quality guaranteed. We are China Origin Factory of Refrigerant R22 for Cylinder. If you have any question, please feel free to contact us.